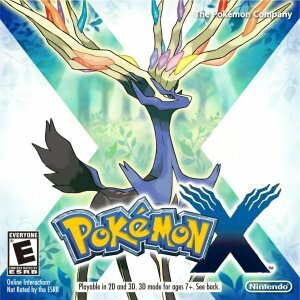 The Pokémon X and Y versions were the first installments in the sixth generation of the Pokémon series of role-playing games. They were the first Nintendo game with simultaenous global release. As with the previous releases in the series, these segments are centered on the journey of young Pokemon trainers as they prepare Pokemon to compete with other trainers and foil the criminal organization Team Flare. These installments introduced “Mega Evolution,” which allows players to evolve Pokemon that were up to that point fully evolved.